Including a Look at the Film’s Inspiration, Deleted and Extended Scenes, Gag Reel, and More! 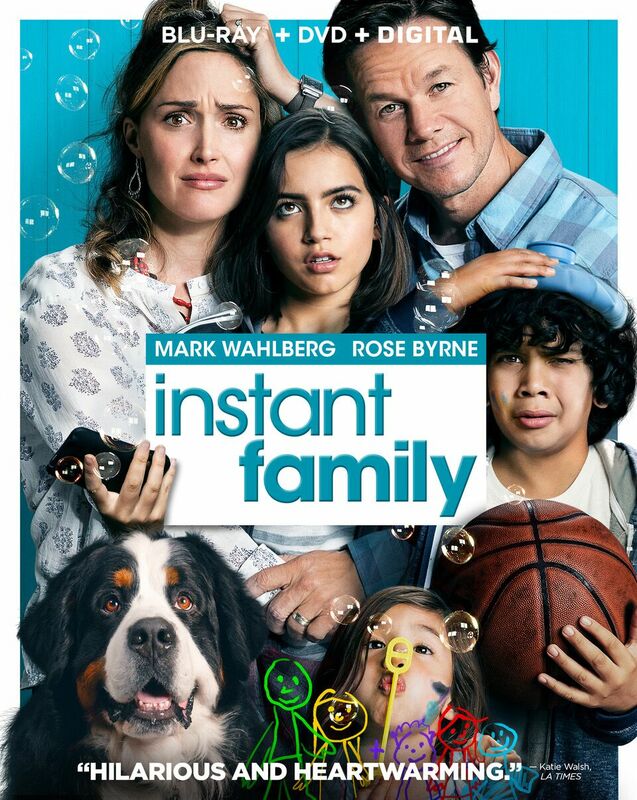 HOLLYWOOD, Calif. – “Mark Wahlberg and Rose Byrne make a wonderful comedy tag-team” (Mara Reinstein, US Weekly) in the “hilarious and heartwarming” (Katie Walsh, Los Angeles Times) INSTANT FAMILY, arriving on Digital February 19, 2019 and on Blu-ray Combo Pack and DVD March 5 from Paramount Home Media Distribution. “The perfect movie to watch with your family” (Erik Davis, Fandango), INSTANT FAMILY on Digital* and Blu-ray Combo Pack comes loaded with more than an hour of laugh-out-loud and uplifting bonus material. Go behind the scenes and see how the cast and crew brought the story to life, and meet writer/director Sean Anders’ real-life family, who served as the inspiration for the film. Plus, watch hysterical deleted and extended scenes and an uproarious gag reel; enjoy commentary with Anders and writer John Morris; and so much more! Produced by MARK WAHLBERG, p.g.a. STEPHEN LEVINSON, p.g.a. SEAN ANDERS, p.g.a. JOHN MORRIS, p.g.a. MARC EVANS, p.g.a.